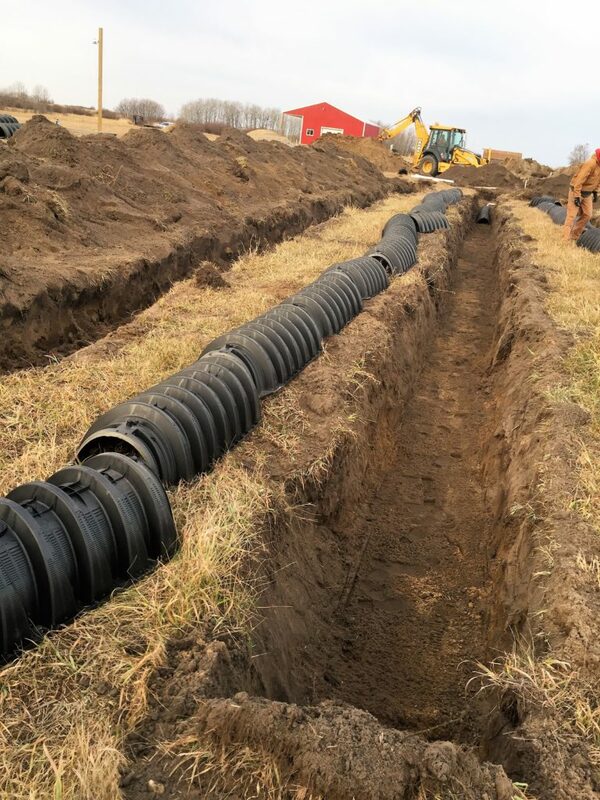 There are a lot of factors that go into installing an efficient and effective wastewater solution for your farm or acreage. It starts with doing soil tests to determine the soils absorption capability. 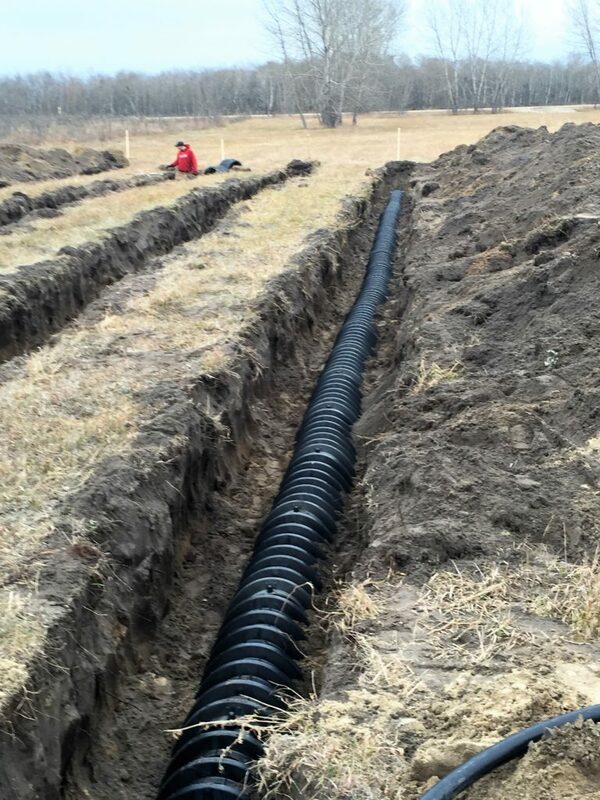 This allows us to select the proper type and size of waste water system that we need to install. 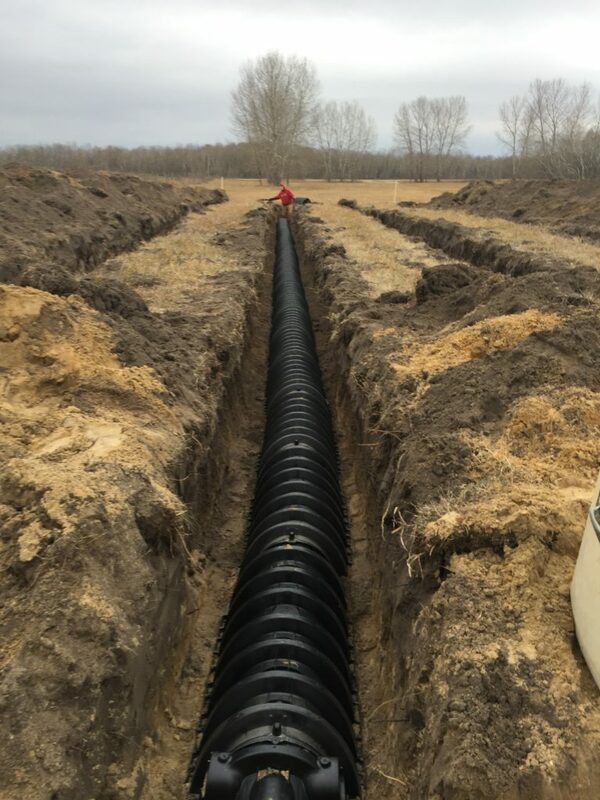 We work with a variety of systems and take the time to learn the appropriate installation techniques and applications for all of them. 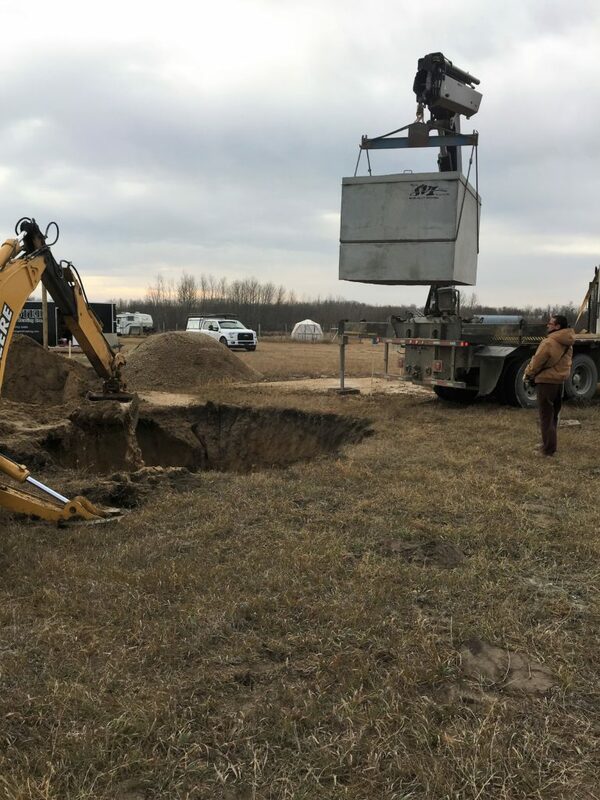 If you don't start with a system that is sized properly and designed for the right soil type, the system will fail and the soil, local water supplies or well water can all become contaminated. This can lead to fines, health problems or worse. Rural waste systems are expensive - whether you do it right or wrong. But it can be really expensive to do it wrong, have contaminated soil and then have to rip it out and to it again. 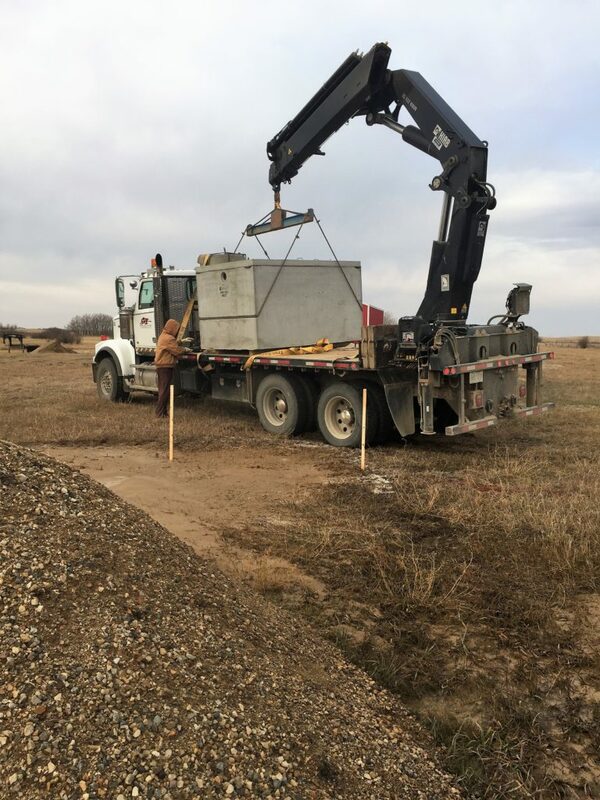 Our preferred system is buried into native soil, eliminating the need to haul in large amounts of expensive aggregate, works well in our extreme winters with no pressure or pumping, and life expectancy is almost triple any other system on the market. The footprint in your yard is also smaller than competitive systems, and it is completely buried underground. Are you looking for a rural waste management solution for your farm or acreage?